Ruud Jacobs, one of the project’s PhD researchers, successfully defended his thesis ‘Playing to Win Over’ at Erasmus University Rotterdam, 10 Nov 2017. The international assessment committee agreed with his promotors Jansz and Kneer that his research is of outstanding quality. 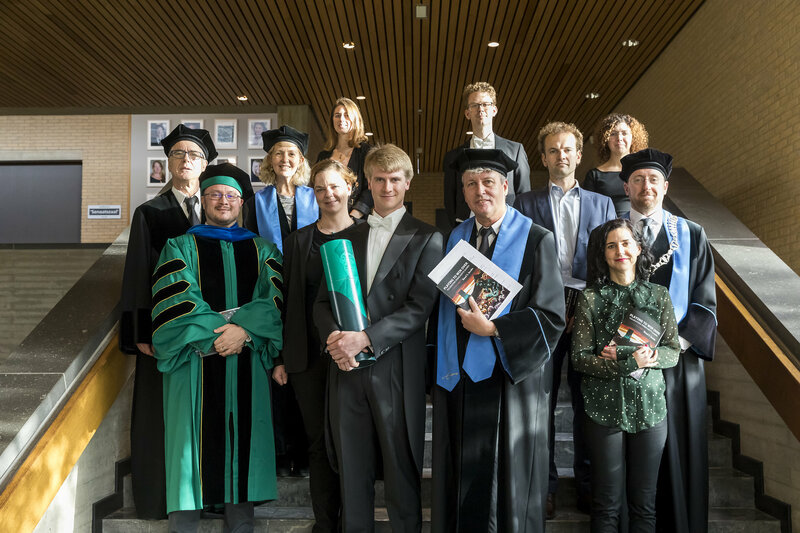 During the ceremony, critical questions were raised by Nick Bowman (West Virginia U), Jan van Looy (Ghent U), Susanne Janssen (Erasmus U) and PGIC researchers Schouten, De La Hera and Raessens. The thesis is about validating persuasive games and includes empirical lab research, surveys and the development of 2 theoretical models for validation research. Click here to download the thesis.